Plus: The real story behind Daniel "fixing" Kathryn's dress in the red carpet. Daniel Padilla had a queen on his arm at the ABS-CBN Ball 2018. The actor couldn't sing enough praises about his girlfriend and on-screen partner Kathryn Bernardo's elegant white dress for the Ball during a mini press conference after his final band rehearsal for "D4: Daniel Padilla Back at the Araneta" today, October 10. He enthused, "Siyempre, napaka-pormal. DJ-approved! Hindi lang 'yun, ang ganda noong suot. I think ang ganda-ganda. Unang-una, hindi siya nahihirapan. Pangalawa, dalang-dala niya. Para siyang asawa ng isang hari. 'Yun ang dating. Simple lang [pero ang ganda]." 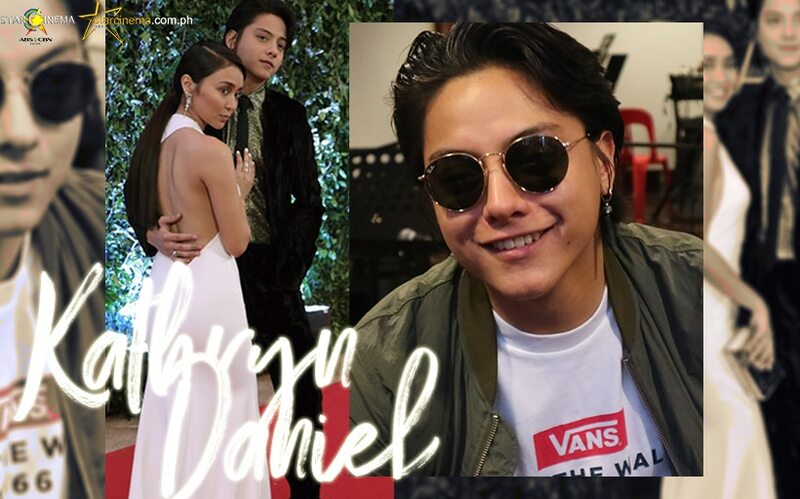 As for the viral video where he was seen fixing Kathryn's dress at the red carpet before she posed for photos, Daniel explained that he was simply following Mommy Min Bernardo's instructions. He revealed, "Sinabi ni Tita Min 'yun. 'Yung damit kasi ni Kathryn parang nagcu-curl, so sabi niya bago mag picture, i-check ko. At okay naman, mukhang na-straight ko naman nang maganda." "D4: Daniel Padilla Back at the Araneta" will be held this Saturday, October 13. KathNiel recently topbilled the smash hit "The Hows of Us", helmed by Cathy Garcia-Molina, who will also be directing the actress’ upcoming movie with Sharon Cuneta and Richard Gomez, "Three Words to Forever." Karla, may ikinatuwa na naman kay Daniel! Charo, tuwang-tuwa sa KathNiel! Will they have a movie together?! Rommel Padilla, may important reminder for KathNiel!